“But I thought setting goals was the right thing to do,” I can hear you thinking. And you’re right — my click-bait title is a bit misleading. Goals are okay, but a goal alone won’t help you much. 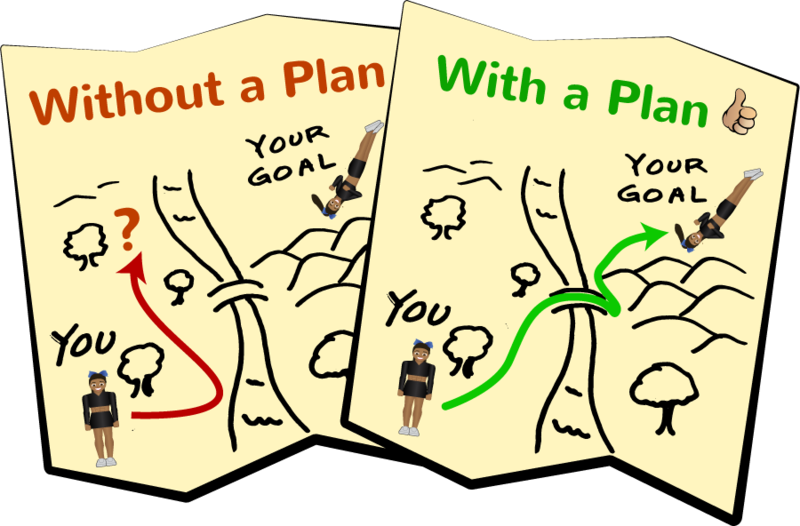 A goal is like the X on a treasure map. If you’re standing on the other side of the map, surrounded by trees with no compass, how quickly can you get to the X? Will you ever get there? A plan is like having arrows on the ground for you to follow, and you deciding you’ll follow the arrows for 2 hours, then rest for 10 minutes, and repeat until you get there. That’s a plan. Get my rewind by staying after every practice with my stunt group to do 15 rewinds. Get an A on my science test by studying the material from 8:15-9pm every night until the test. 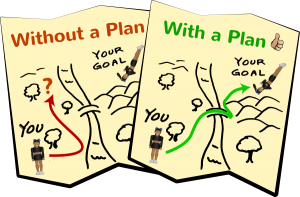 Having a plan is often the difference between meeting your goal or falling short.